The girl is on holidays with the family of the model. Russian supermodel Natalia Vodianova does not show photos with her sisters. However, this time the star decided to make an exception. The model showed off the picture of her 22-year-old sister Kristina Kusakina. The girl spends time with Natalia's family. Fans noted that Natalia Vodianova has a very beautiful younger sister. "How wonderful that there is such a sister! kristi-supernova "," Sister is beautiful "," Wonderful! 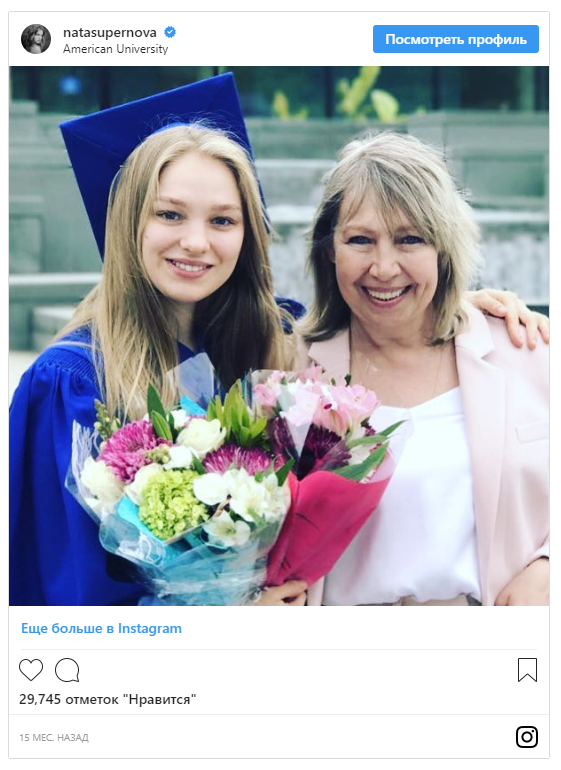 »,« What a beauty »,« Pretty Woman »superrr», «She is as beautiful as you, Natalia», «Your daughter is very similar to her» , enthusiastically commented Russian model's fans on Instagram. By the way, last year Kristina became a certified specialist. She successfully graduated from the Faculty of Art Studies of American University in Washington. 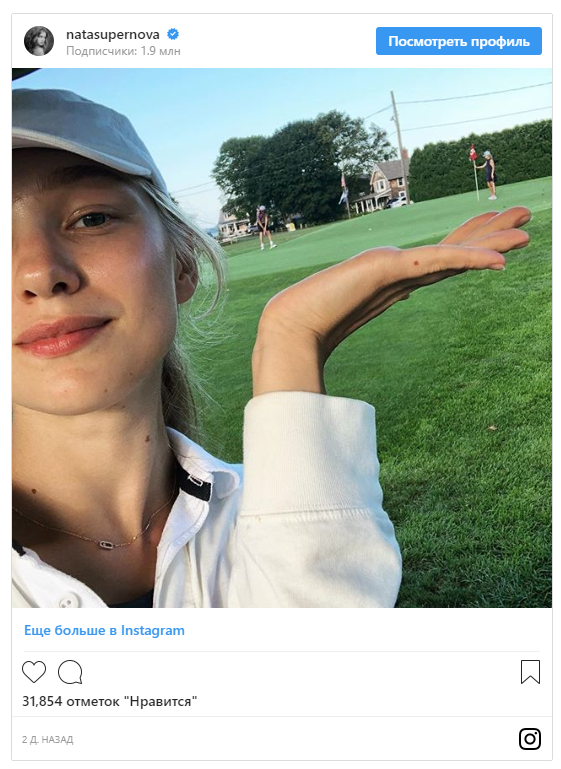 Natalia Vodianova is very proud of her sister. She told what her sister had to go through to achieve this goal. My little sister is art critic now. I'm very proud of her. Now, looking at my daughter Nevochka, who is 11, it's even hard to imagine that at this same young age Kristina left Nizhny, her home and mother and moved to a boarding school for girls in England. Without knowledge of English, without friends. On the weekend, when she came to us, we hardly saw her. She just left her room to eat, and so she studied everything, without tutors and help. This person knows what she wants and goes to this. 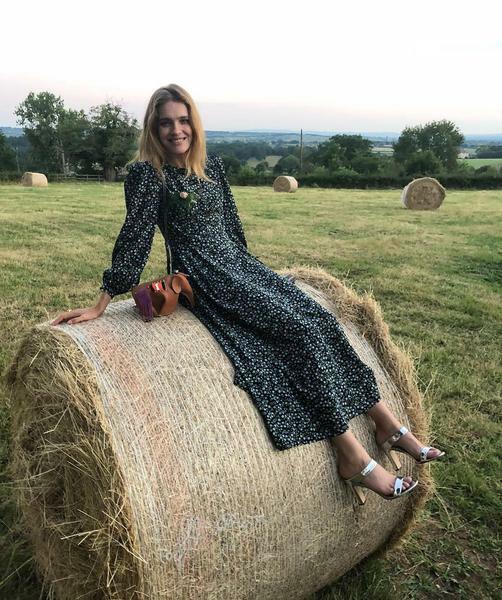 Let this ability to work and achieve the set goals and tasks will now serve the world of art, - Natalia Vodianova shared with her subscribers. 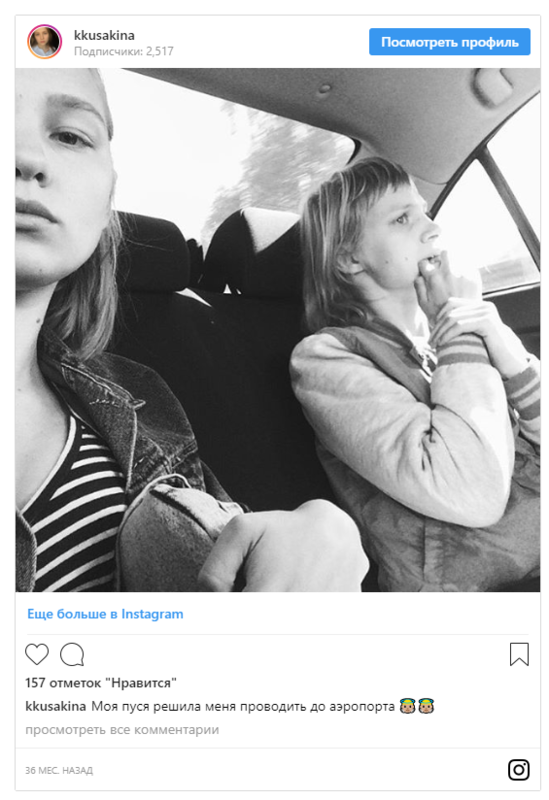 The well-known model has another sister, Oksana Kusakina, she has cerebral palsy and autism. Now Oksana is 30 years old. Natalia Vodianova sometimes visits her sister, but this is extremely rare. Together with his mother Oksana lives in Nizhny Novgorod. In August 2015 that incident occurred at one of the local cafes. The girl, together with the nanny, was simply kicked out. They were advised first to "recover, and then go to the cafe". Natalia Vodianova was shocked when she learned about such treatment with her sister. By the way, the same ill-fated cafe later burned down. Recall, Natalia Vodianova - a mother of many children. With her chosen, French businessman and CEO of fashion brand Berluti, Antoine Arnault, the top model has been together for more than five years. The couple brings up two joint kids: in 2014 Maxim was born, in 2016 - Roman. 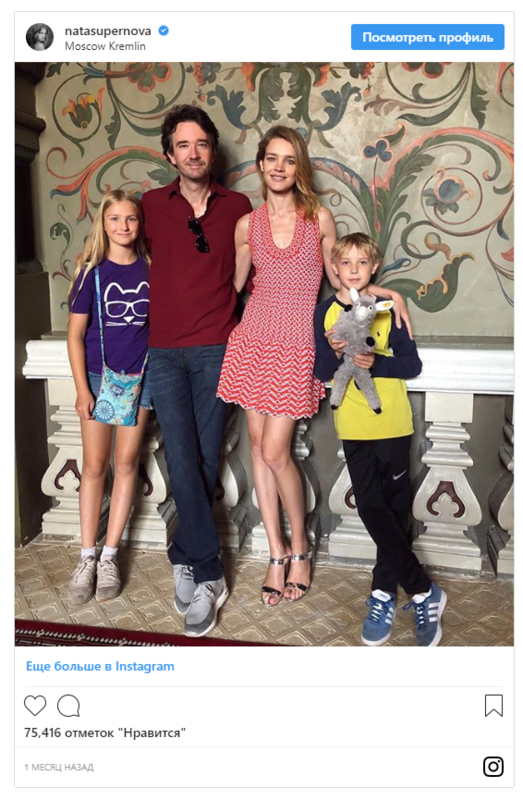 In addition, lovers raise Natalia's three children from a previous marriage (with British aristocrat Justin Trevor Berkeley Portman): Lucas Alexander (born in 2001), Neva (2006) and Victor (2007).